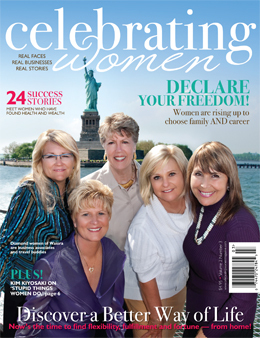 Celebrating Women Magazine is a quarterly magazine that features "Real Faces, Real Businesses, Real Stories." Each issue highlights a different direct sales company and those who are succeeding in building their home party businesses. The third issue (Summer 2009) is focused on For Every Home.